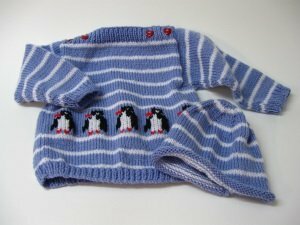 A darling sweater for infants and toddlers to 2 yrs. Learn duplicate stitch. A simple hat pattern is included to complete the outfit. Instructions given in rows so pattern can be easily modified.